In an attempt to provide clear and irrefutable evidence of the unsuitability of the green on Deptford Church Street as a site for Thames Tunnel works, local volunteers will be installing pollution testing tubes from Monday-Friday next week. Don't Dump on Deptford's Heart are taking part in a large 'civilian' air quality testing project in Deptford and Greenwich – and still need more volunteers to help install the tubes. The tubes are fairly easy to install but need to be done at the right time and recorded properly – and Deptford has 50 tubes to put up. The installation must take place during on a weekday, so volunteers need to be free during the week. If you'd like to help, please come to the 'briefing' on Sunday 5th January between 11am-2pm at the Pink Palace, Frankham House, Frankham Street. Volunteers will be allotted some tubes and a particular road where they can be installed, along with full instructions on how to do this. Email ddodeptfordh@gmail.com for more information. Help is being provided by the Network for Clean Air, Greenwich Co-operative Development Agency, Joan Ruddock MP, Crossfields residents and members of Don't Dump on Deptford's Heart and the No To Silvertown Tunnel campaign. Download the NHS Choir's Charity Christmas single! The marvellous Lewisham Hospital choir that came together for the BBC series Sing While You Work at the height of the fight against Jeremy Hunt's proposals to downgrade the hospital, have gone from strength to strength and now include NHS staff from Greenwich. The Lewisham and Greenwich NHS Choir have now released a single for Christmas, with all proceeds going to Macmillan Cancer Support and local healthcare charities. The beautifully sung "A Bridge Over You" is a combination of Simon & Garfunkle and Coldplay songs – and really brings a tear to the eye! If you want to know more about how the Thames Tunnel affects you and what you can do to stop it please come to this meeting. 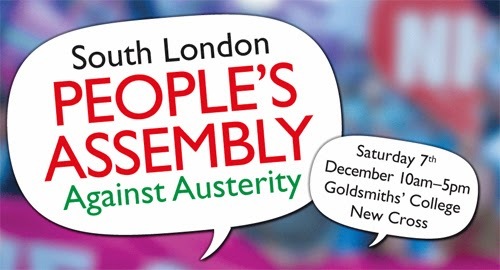 Some great speakers at this local event on Saturday 7th December. Click here to find out more. 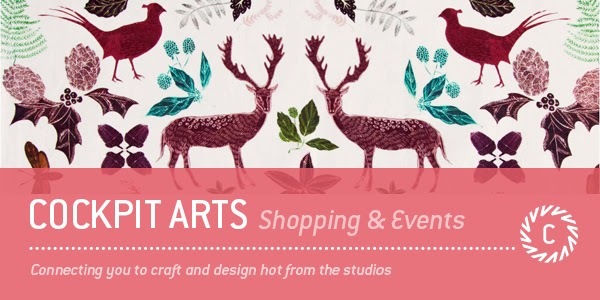 Buy direct from the artists and designers: Textiles, Jewellery, Glassware, Furniture, Art, Ceramics, Prints, Hand-crafted gifts, T-shirts – plus mulled wine and music! 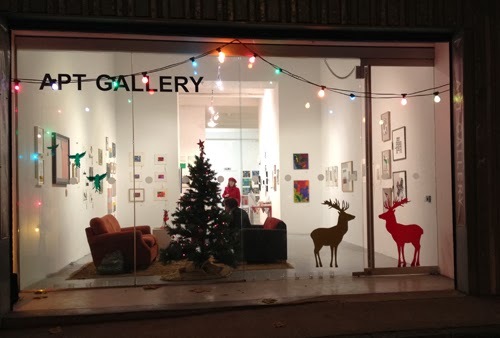 The recently formed Deptford Society (sign up to their mailing list here) hosts its first event in collaboration with The Albany and Deptford Lounge. Featuring the monthly Giffin Square Food Fair, live music from Heart of Steel and Tidemill Academy school choir, performance art from Something Human, cooking demos outside Codfathers (11am-2pm) and interactive art installations along the high street. Richard Endsor and children's novelist and black history expert S I Martin. Also pick up a free glass of mulled wine when you join the Deptford Society! 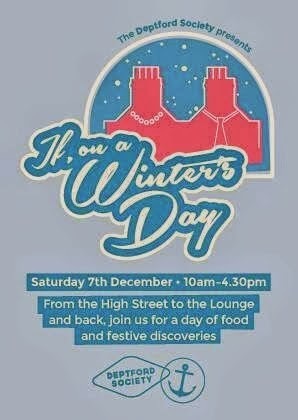 live music, mulled wine & festive fare. 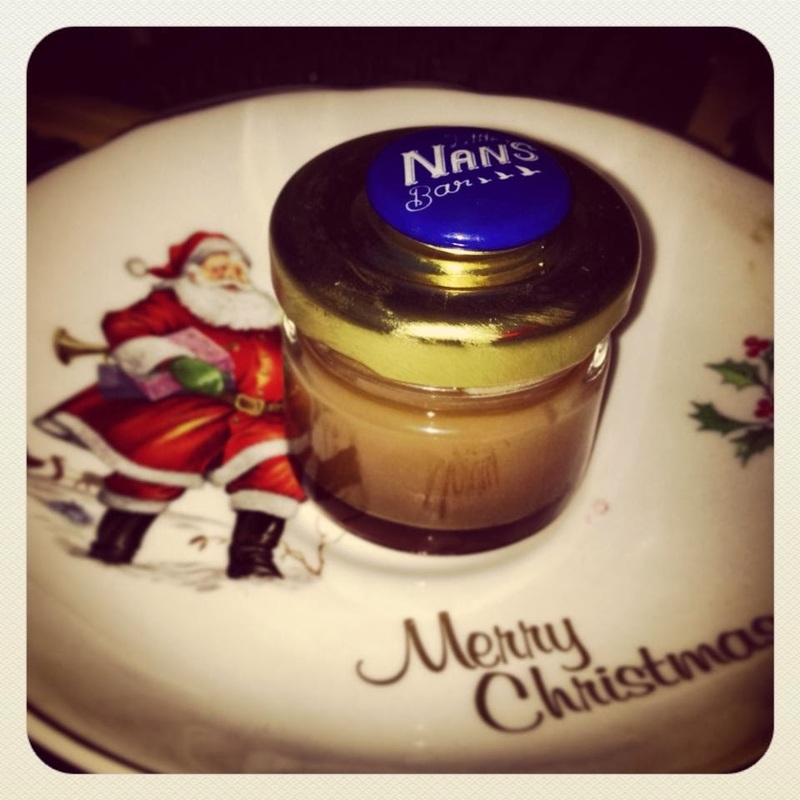 Little Nan's Hampers, plus cocktails & treats in the bar.